I just found out Sunday was Lion’s birthday! Lion, who owns Lion Rock Beach Bar in St. Kitts, turned 61 and is still going strong and is one of the main reasons his beach bar ranks as my favorite. Happy birthday, Lion! Thanks for being one of the good ones and for reminding all of us what it takes to make a beach bar great! Here I am liming with Lion this past December. My friends and I, along with one other local, were the only ones in his bar at this time so I was able to snag this picture with him and share a few words. 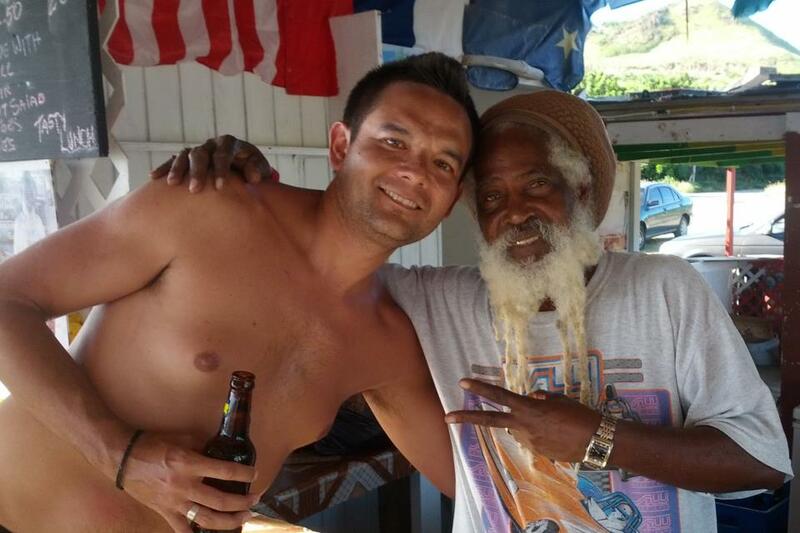 One of the nicest and most genuine people you’ll meet and a true St. Kitts institution!